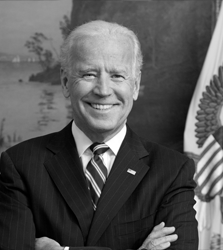 As a two-term vice president, and candidate for the Democratic nomination himself in 1988 and 2008, Biden has significant experience on the national campaign trail. From the perspective of limited government and supporting strong values, however, Biden presents some serious concerns. After six terms in the U.S. Senate, Biden is essentially a known quantity on domestic policy. A consistent ally of left-leaning causes, Biden eventually rose to become the ranking member on the Senate Judiciary Committee, leading contentious battles against conservative nominees. As vice president, he has been an especially (and uniquely) vocal supporter of the Affordable Care Act (so-called “Obamacare”), well in line with his views toward expanding entitlements at the federal level. Active on federal crime issues, Biden has supported personal liberty and privacy to a certain extent. In terms of foreign policy, Biden is generally seen as more hawkish than other members of his party. As a senator, this allowed him to reach across the aisle. While this demeanor has changed in response to various conflicts, and the political bifurcation surrounding the war on terrorism, his track record suggests he would support robust and active military policies. For advocates of limited government and free markets, there is little to like in a potential President Joe Biden, although his foreign policy experience and insights and more-hawkish-than-the-average-Democrat may prove less alarming to those who rate national security as their top issue. Often considered an afterthought in the Democratic nomination fight, Biden’s experience, stature as vice president, and national exposure could make him a legitimate contender for the Democratic nomination and a viable candidate in the general election. Joe Biden was born on Nov. 20, 1942, in Pennsylvania, moving to Delaware with his family in 1953. A poor student, Biden nonetheless graduated from the University of Delaware and Syracuse Law School. A Roman Catholic, he regularly attends mass in Delaware with his family. Biden’s political career began in 1970, when he served on the New Castle County Council. In 1972, he defeated two-term Republican incumbent J. Caleb Boggs. It is generally accepted that Biden’s youthful exuberance played a key role in the election against Boggs, who was considering retirement. Indeed, at age 30, Biden was the 6th youngest senator in history. Weeks after the election, Biden’s wife, Neilia, and their 1-year-old daughter, Naomi, were killed in an auto accident. A single father during his early Senate years, Biden famously took the train back to Wilmington each day to spend time with his sons Hunter and Beau, who survived the same crash that took their mother and sister’s lives. He remarried in 1977 to current wife Jill, and together they have a daughter, Ashley. Hunter and Ashley work as an attorney and social worker, respectively. Beau passed away in early June 2015 from brain cancer. Biden’s presidential ambitions have been known since his college days. While his family tragedy nearly derailed his Senate career (he strongly considered retiring his seat), he was ultimately re-elected six times. In 1988, Biden embarked on his first presidential run, announcing the fact at the Wilmington train station that would serve as a prop for many of his political endeavors. In a nomination battle which saw large fundraising returns but uneven support in the polls, Biden’s campaign took a crucial blow when he was accused of plagiarizing a speech by a British Labour Leader.3 Further, it was discovered that he had fudged details of his own family history to comport with the original speech’s content. It was then that a prior plagiarism incident from law school came to light. He withdrew from the race in September of 1987. Early the next year, Biden suffered a brain aneurysm and was taken to the hospital, where a priest administered his last rites. He endured additional life-threatening conditions while recuperating and credits the early end to his presidential campaign with saving his life. Biden rose to power on both the Senate Judiciary and Foreign Relations committees through the 1980s, 1990s and 2000s. During that time, he was a crucial ally to President Bill Clinton’s efforts in Bosnia, but also an outspoken critic of the Iraq war. In 2008, Biden ran for the Democratic nomination. Again, Biden’s words got him in trouble, as he described his fellow candidate Barack Obama as a “clean and nice-looking” African-American.4 The racially charged statements did nothing to help his flagging candidacy, and he dropped out early on in the race after a poor showing in Iowa. If Obama took umbrage with his remarks, however, all was forgiven as he tapped Biden to be his running mate in the 2008 general election. Obama was elected handily in 2008 and Biden stayed on board for Obama’s successful 2012 bid. Biden is currently serving as vice president of the United States. Throughout his career, Biden has demonstrated a willingness to take on members of his own party, particularly on issues related to foreign policy. He also endured political criticism for his opposition to mandatory school busing in his home state and has taken his party to task at certain points for being soft on crime. Considered one of the best retail politicians in the country, Biden rose quickly through the ranks of the Senate. In 1981, he became the ranking minority member of the Senate Judiciary Committee. A prolific lawmaker, Biden has been a key influencer on issues related to foreign policy, budgets, criminal justice and the judiciary. Biden has demonstrated an ability to work across party lines. He is a noted friend of Senate Minority Leader Mitch McConnell and has worked with him on key compromises throughout his tenure as vice president. In concert with his commitment to fighting crime, Biden cites the Violence Against Women Act of 1994 as his most significant piece of legislation. A prolific fundraiser throughout his career, Biden raised $29 million between 1989 and 2010 in spite of holding a safe Senate seat. Even during his failed 1988 bid for the nomination, he was leading the pack in terms of dollars raised before the plagiarism scandal undid his candidacy. As a senator, Biden has leveraged his political craftsmanship and tenure to make inroads with Democratic presidents. As early as the Carter administration, he was heavily involved with foreign policy matters at the executive level. He was a major factor in Bill Clinton’s Bosnia efforts, and also a supporter of Clinton’s welfare reform bill. Throughout his career, Biden has been stymied by his inability to control his own message. At varying times throughout his presidency, Obama’s team has been compelled to silence Biden and shelter him from the media eye. Biden has few written works of note, save for a conventional 2007 memoir titled Promises to Keep: On Life and Politics. As vice president, however, Biden has supported Obama’s recent initiative to utilize executive orders to grant what some perceive to be a de facto amnesty plan for millions of illegal immigrants. He has also supported bills that would allow guest workers to earn a path to citizenship. Biden consistently opposed efforts to develop energy resources. He has opposed off-shore drilling in virtually all forms,41 42 opposed drilling in ANWR,43 and even blamed fracking for causing earthquakes.44 He has not, however, made known his personal position on the Keystone Pipeline,45 leading some to believe he might depart from the administration. He supports subsidies and grants to high speed rail54 and continues to defend the Obama administration’s bailout of General Motors and Chrysler,55 at an estimated cost to taxpayers of $30 billion. Biden did, in the late ’90s, co-sponsor legislation with Sen. Arlen Specter to require National Football League and Major League Baseball teams pay for at least half the cost of new stadiums.56 Sports stadiums often are built mostly at taxpayer expense, and Biden deserves credit for trying to at least limit this particular form of corporate welfare. Throughout the majority of his political career, Biden has been known as a hawk among his Democratic peers, although he largely opposed many of former President Ronald Reagan’s foreign policy including aid for anti-communist rebels in Nicaragua. He served as chairman or ranking member of the Senate Foreign Relations Committee starting in 1997, having been a key architect of Bill Clinton’s policy with regard to Bosnia. In fact, prior to the Clinton administration, Biden was even more strident in his efforts to get the United States involved in that region. Historically, Biden has been a supporter of Israel, and he supports a two-state solution to end the Israeli-Palestinian conflict58. However, the Obama-Biden administration has been harshly criticizedfor its worsening relationship with Israel59 including several high-profile snubs and rebukes, such as its criticism of Prime Minister Netanyahu’s address to Congress and its response to an Israeli announcement regarding building plans in Jerusalem.60 Israel has expressed strong concern regarding the administration’s desire to get a nuclear weapons deal with Iran. Biden’s rhetoric on ISIS has been largely muted. After initially calling for justice in no uncertain terms following the death of two American journalists, Biden downplayed the ISIS threat, and argued in favor of an international coalition to deal with the problem as opposed to military force. The administration has said it will not put boots on the ground to fight ISIS. A fierce supporter of the war on drugs, Biden has voted to create the office of drug czar. He has supported and authored numerous bills cracking down on exotic and synthetic drugs, though he has yet to weigh in on recent state efforts to legalize marijuana. He served as chairman of the International Narcotics Control Caucus. Biden voted for No Child Left Behind, but he later said he regretted his vote and didn’t believe it had worked.86 While he has remained largely silent on the subject of Common Core, there is no indication he departs from the administration on the topic. Even by his own admission, Joe Biden’s greatest vulnerability is Joe Biden. More to the point, his propensity for off-the-cuff remarks, unsubstantiated claims and outright fictions have been lampooned endlessly. While Democrats tend to get more latitude from the mainstream media when it comes to gaffes, the right-of-center blogosphere will be champing at the bit to play the gotcha game. His propensity toward impromptu, folksy explanations of policy matters and his propensity to outright invent facts has made him the target of derision. He has often been caught inventing details of his history and family life to match thematic elements of particular speeches (he referenced a non-existent diner in his 2008 convention speech) and even went so far as to claim FDR took to the airwaves after the 1929 stock market crash to reassure the American people via TV.104 Of course, Herbert Hoover was president in 1929, and outside of a few researchers no Americans had televisions at that time. The impact of plagiarism scandals105 remains to be seen but may be given new life given the impact a similar scandal had on the 2014 Montana Senate race. While the instances themselves were of lesser import, the fact that there is more than one instance will surely provide fodder for opponents to question his integrity. In addition, Biden has been criticized by some for his handling of the Clarence Thomas Supreme Court confirmation hearings in 1991,108 which could hurt him with female voters. According to these critics, Biden failed to allow several women to testify who might have corroborated Anita Hill’s stories of sexual harassment, and could have done more to bolster her testimony and cast doubt on Thomas.109110 and he was generally regarded as a friend to the credit card industry during his time in the Senate,111 which could be problematic for segments of the Democratic party concerned about the influence of the banking industry. Biden’s brother James may have used his family connections to help a construction firm for which he was an executive land a lucrative $1.5 billion contract for building affordable housing in Iraq. James Biden had no known experience or qualifications in the homebuilding industry prior to being hired as executive vice president at Hill International, and the contract was awarded just six months after he joined.112 There is little to suggest Joe Biden personally intervened or benefited from the awarding of the contract, but opponents are likely to bring this up as an example of a powerful politician steering taxpayer dollars to favored companies and interests. Biden will certainly need to address concerns about his age. If elected president, Biden will be 74 by the time he assumes office. While he appears vigorous and energetic, many of his health problems have been quite severe (he was read his last rites in 1988).113 Any indication that his health his failing may compel him to abandon his candidacy entirely.